448 p., 18,1 x 25,4 cm. 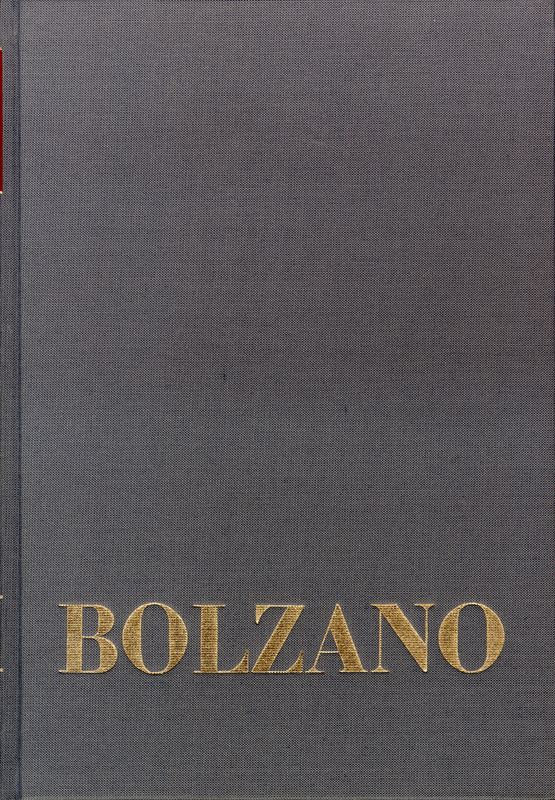 This bibliography documents all of the works written by Bolzano and published up to December 31, 1999 (some of them anonymously), in chronological order, including all reprints, new editions and translations. In addition all those books and essays published up to this time whose titles establish a connection to Bolzano as well as further books, essays, reviews and articles in lexicons which are relevant for Bolzano research are registered here. Since many of Bolzano’s works as well as those of his students and friends and his adversaries were published anonymously, these have been noted and put in chronological order in a section of their own (in many cases it was possible to identify the authors).